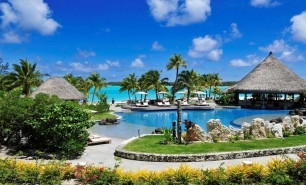 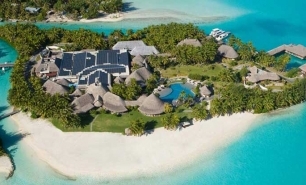 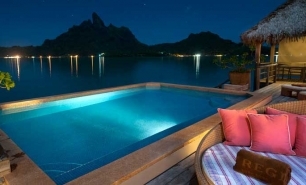 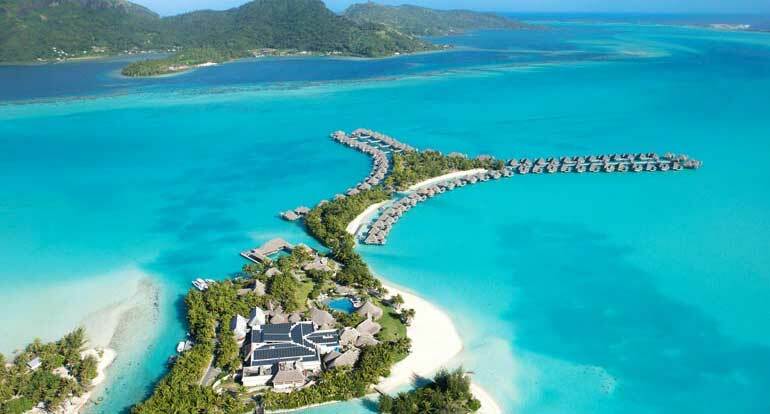 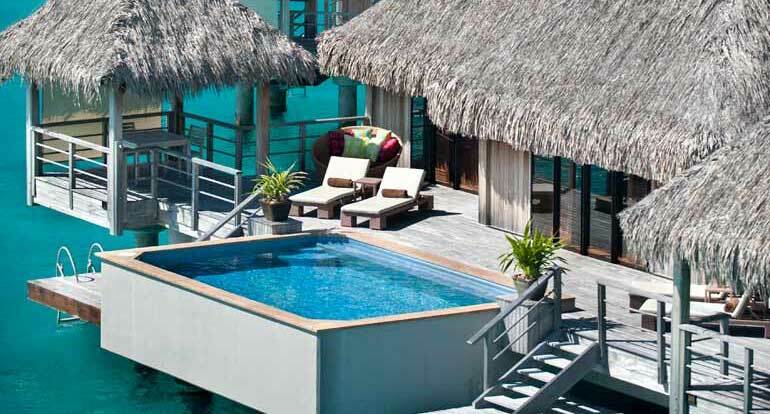 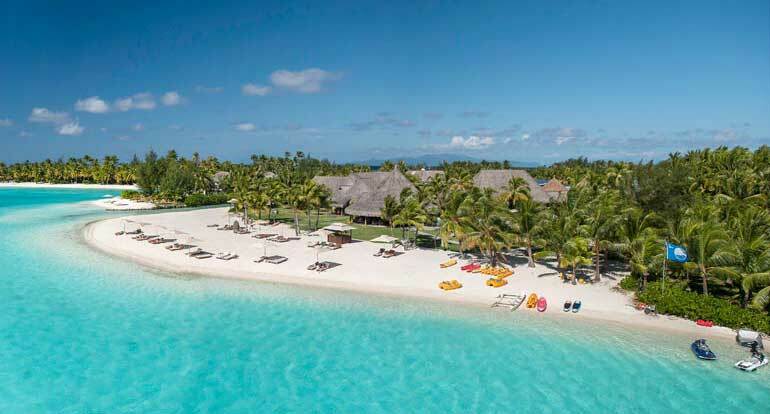 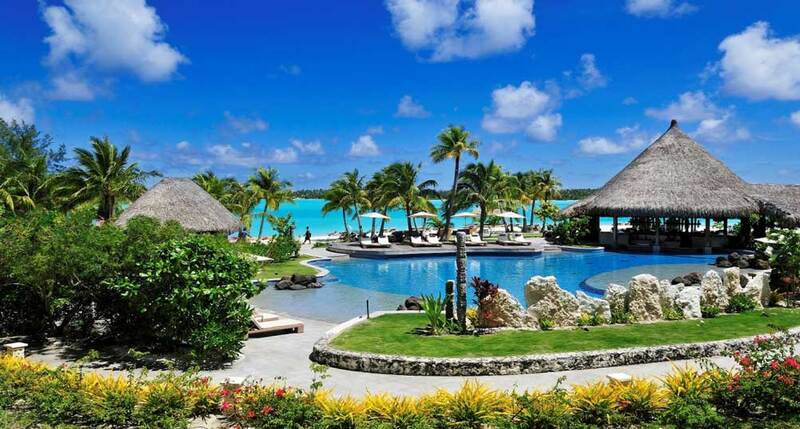 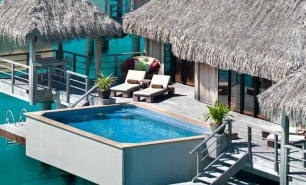 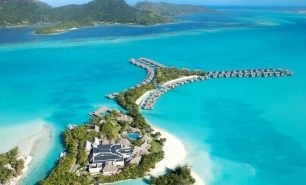 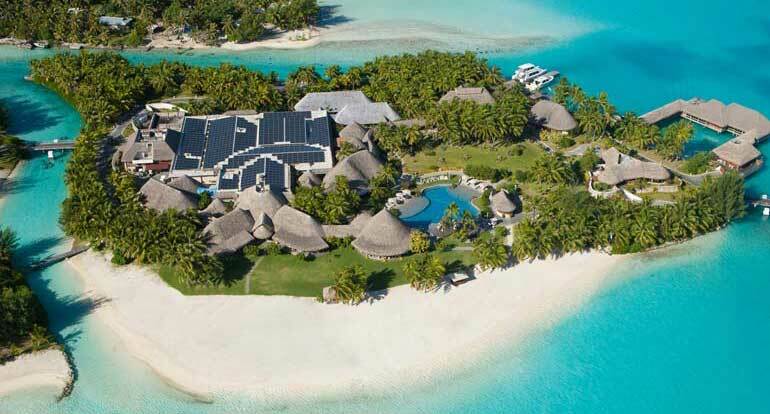 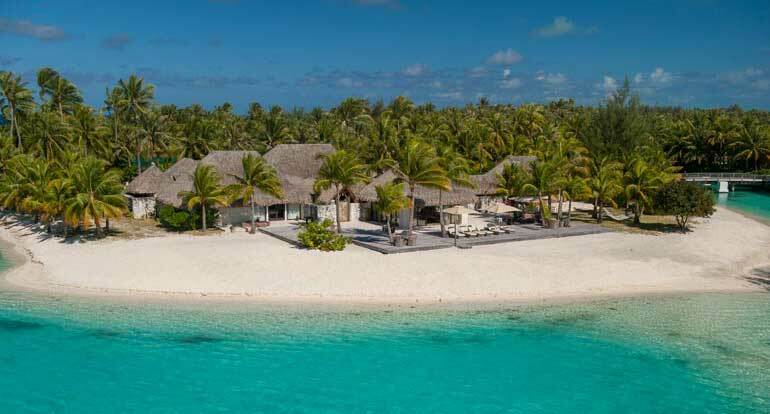 The St Regis is located on a motu islet in the Bora Bora lagoon. 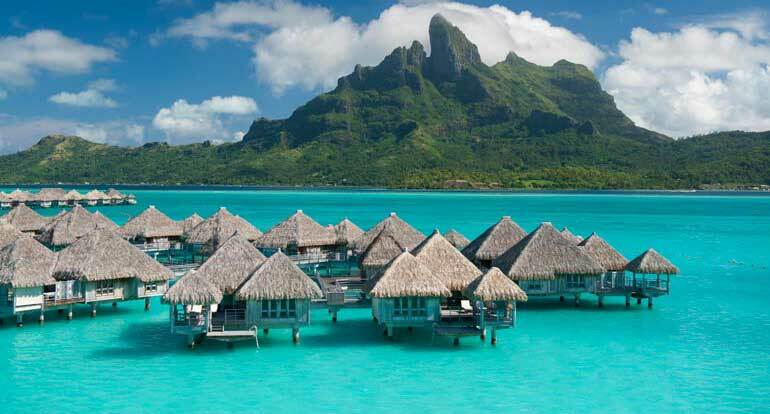 Bora Bora is the most famous of French Polynesia’s Leeward Islands and is a quintessential tropical paradise. 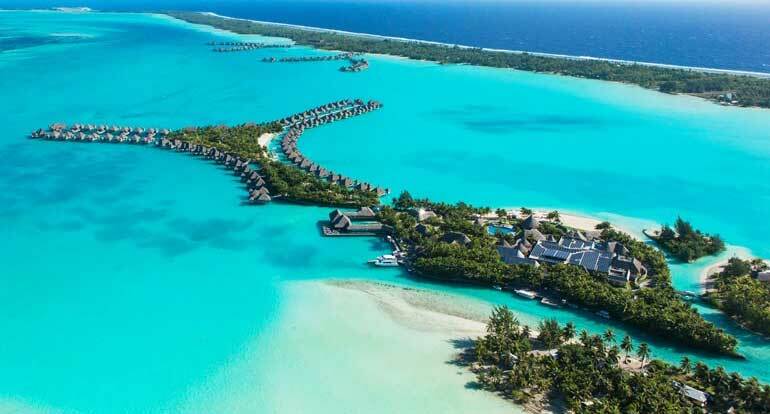 The approach into Bora Bora from the air is unforgettable. 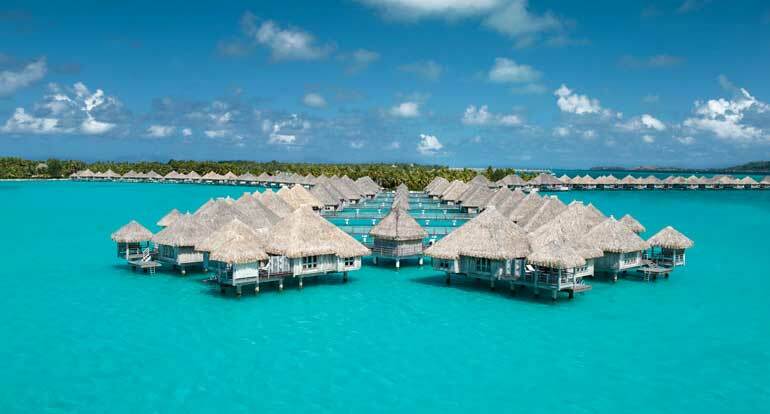 Bora Bora is surrounded by sand-fringed motus (small islets) on an outer coral reef that encloses a turquoise lagoon. 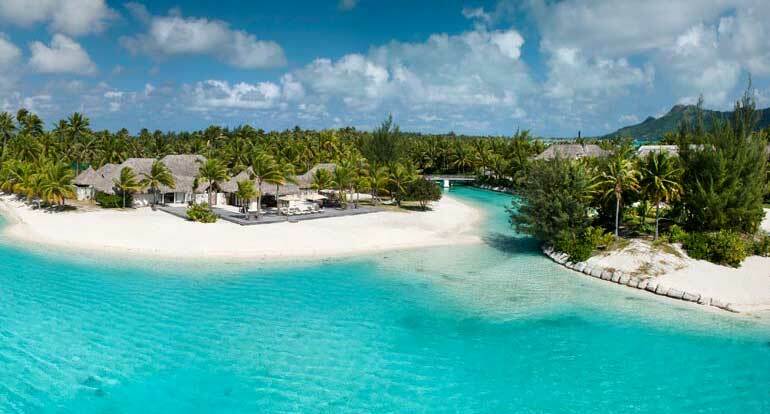 With only one navigable pass, the crystal-clear lagoon is calm, warm, and relatively shallow. 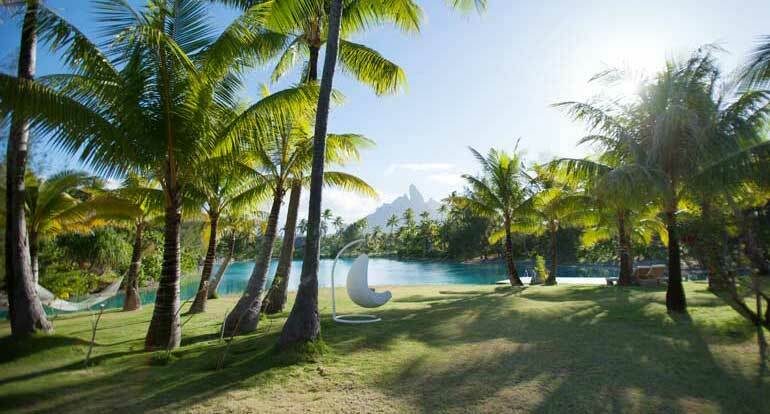 The island has dramatic landscapes with the peaks of Mounts Otemanu and Pahia towering over the center of the island. 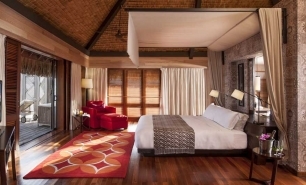 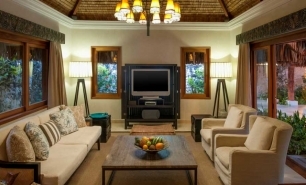 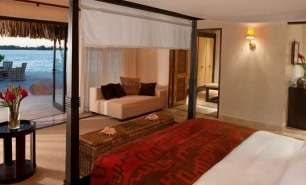 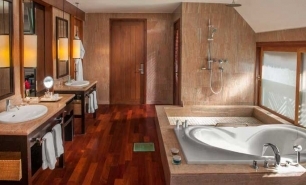 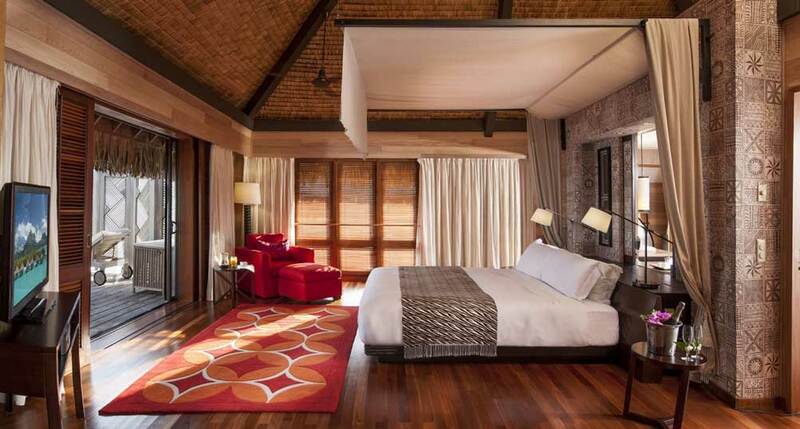 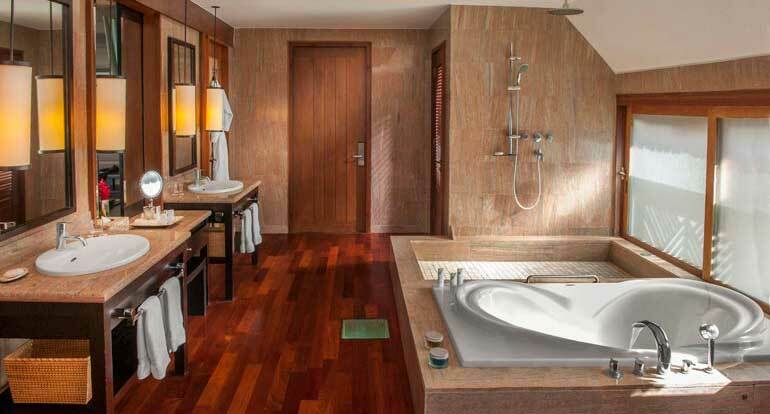 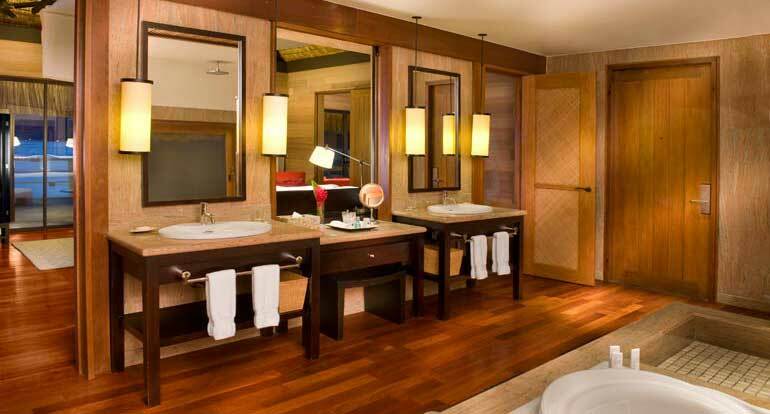 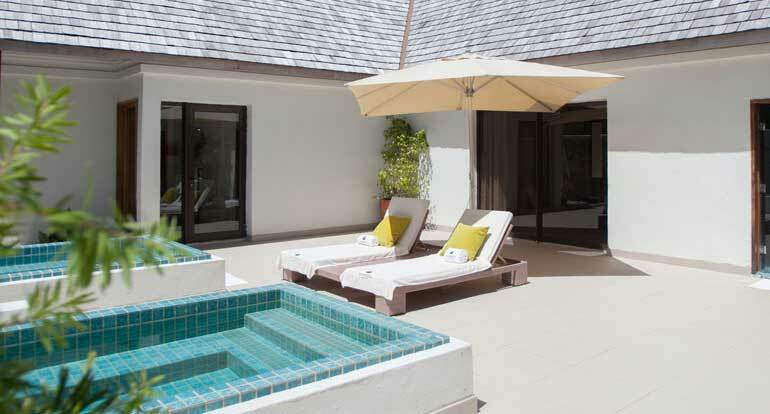 St Regis’ villas are spacious (the smallest units are 155sqm) and conveniently laid out providing required privacy but at the same time being close to the Resort’s main facilities. 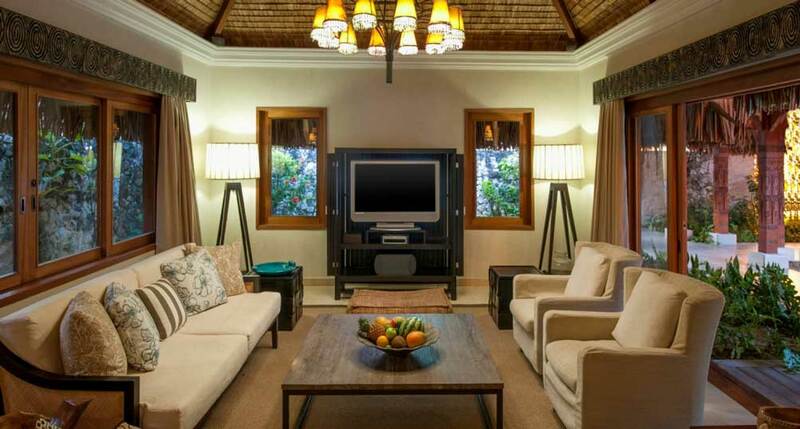 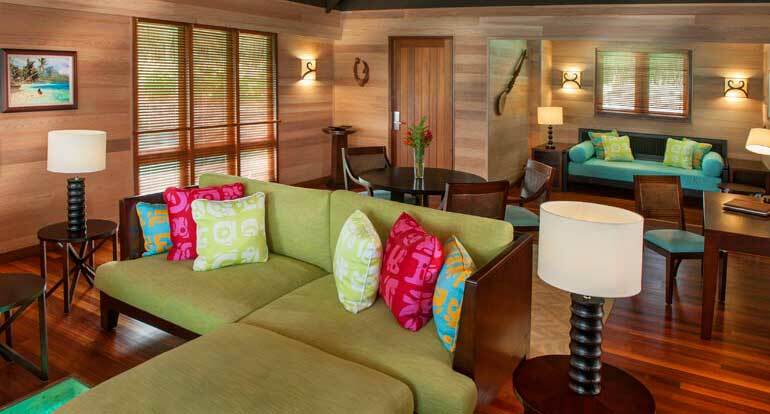 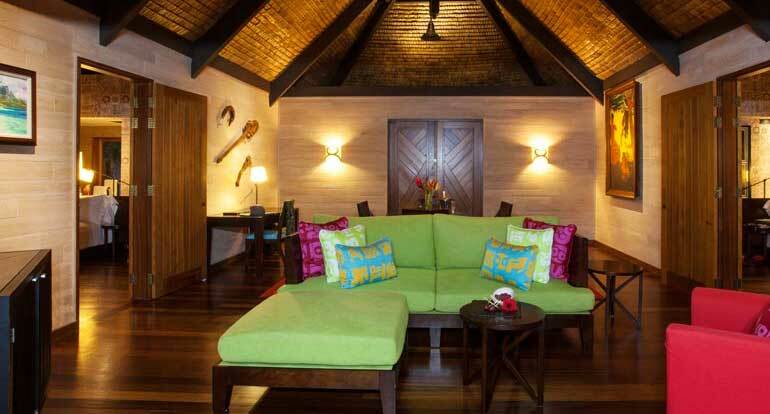 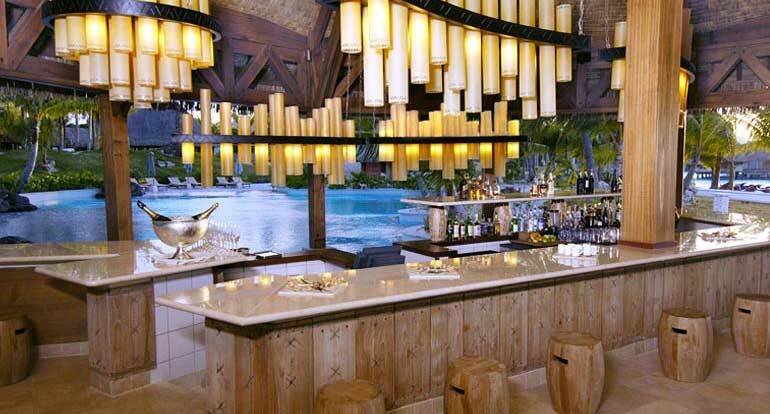 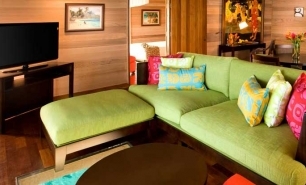 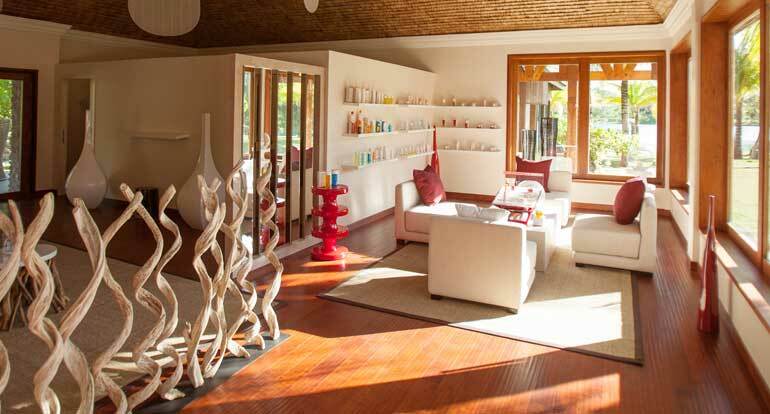 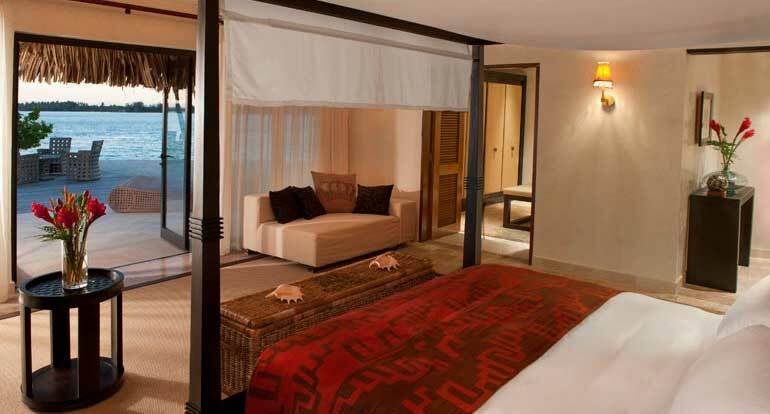 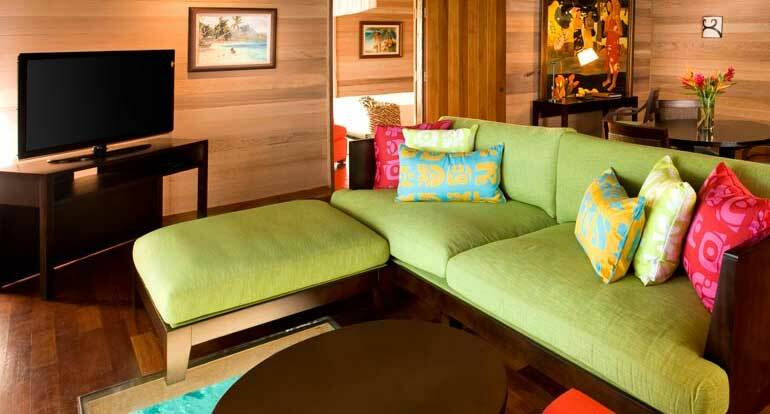 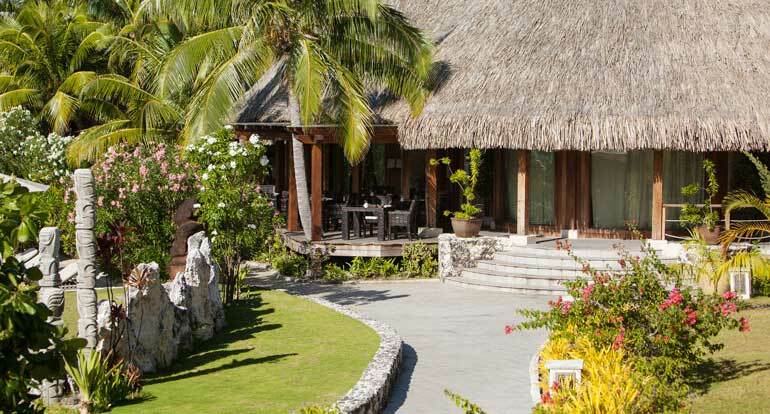 The Beachfront villas boast excellent access to the beach and offer extensive external outdoor space. 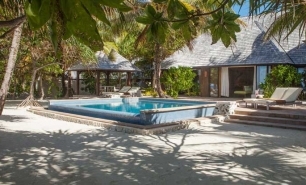 There is also an expansive Royal Estate Villa (measuring 1,300sqm) comprising three separate pavilions located around a private pool and featuring a private spa area with a treatment room, a sauna, and a whirlpool. 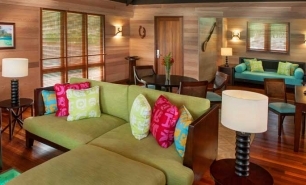 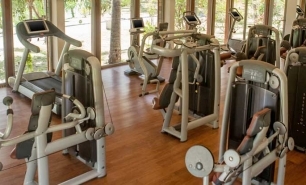 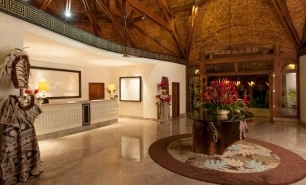 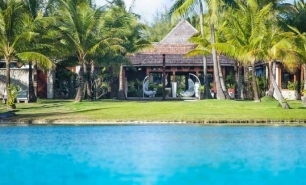 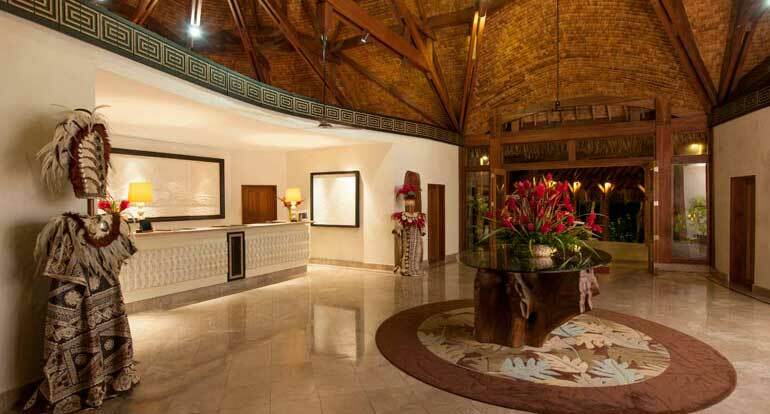 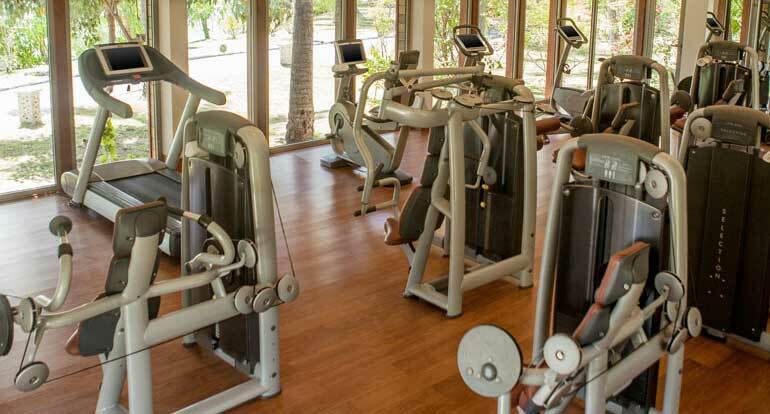 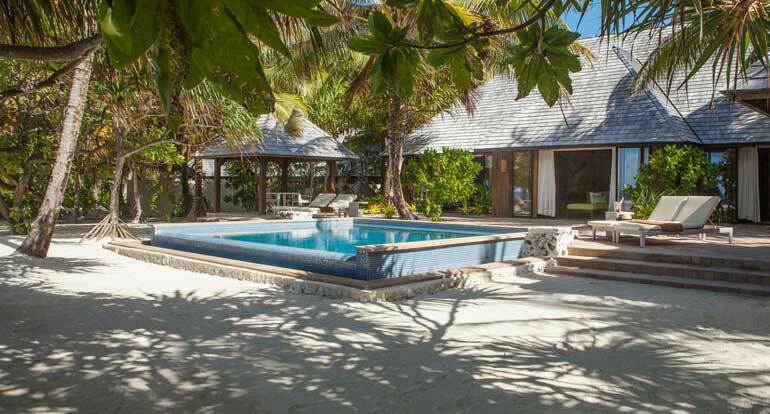 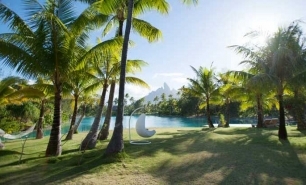 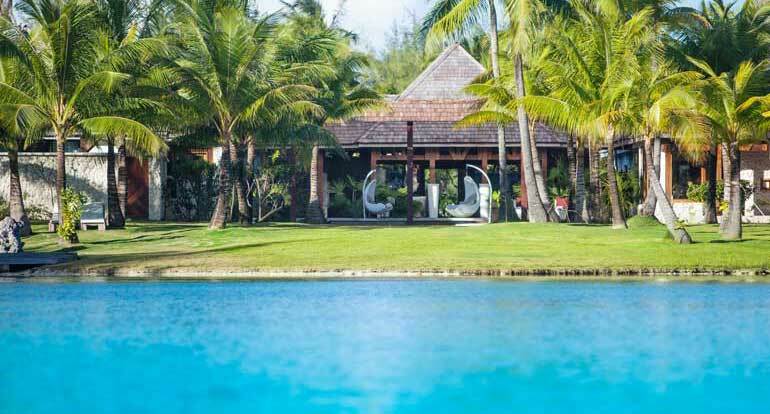 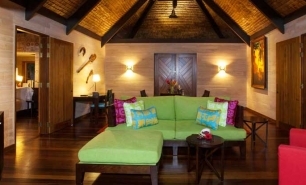 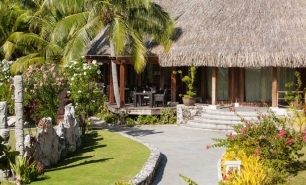 The Estate is surrounded by tropical gardens bordering a private, white sand beach. 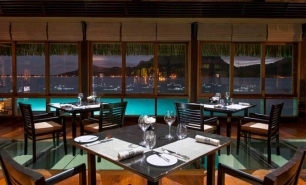 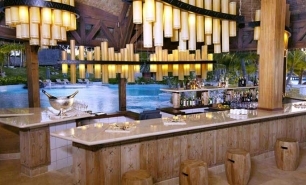 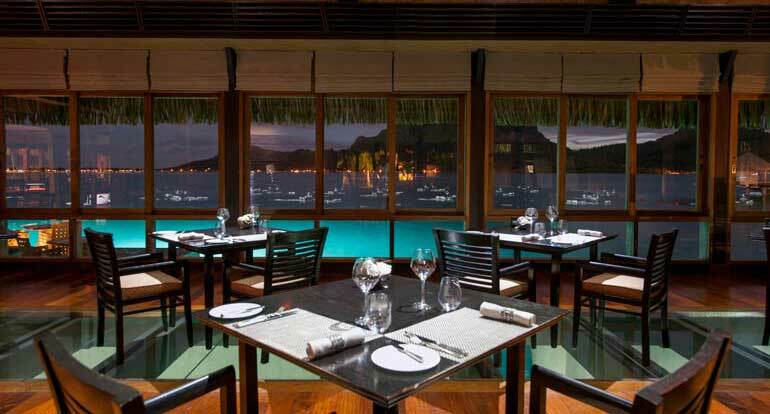 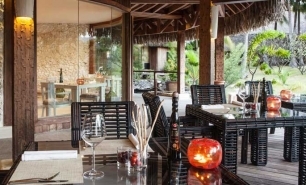 There are three restaurants including St. Regis Bora Bora Resort's exclusive signature restaurant LAGOON by Jean Georges offering French and Asian-infused menu, the Polynesian inspired restaurant Te Pahu boasting beachside dining, and Sushi Take one of the few authentic Japanese restaurants in Bora Bora. 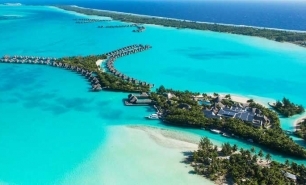 The St. Regis Bora Bora 1,250sqm spa is located on its own private island in the lagoon and features Tahitian and Pacific Rim treatments in 5 luxurious spa treatment rooms. 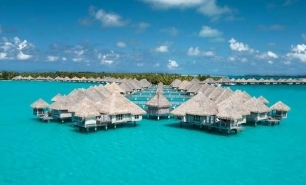 50 minute domestic flight to Bora Bora (BOB) with Air Tahiti from Faa'a International Airport in Papeete (PPT), Tahiti, the only international airport serving French Polynesia. 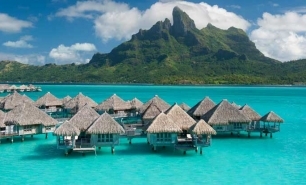 Tahiti is an 8hr 30 minute flight from Los Angeles. 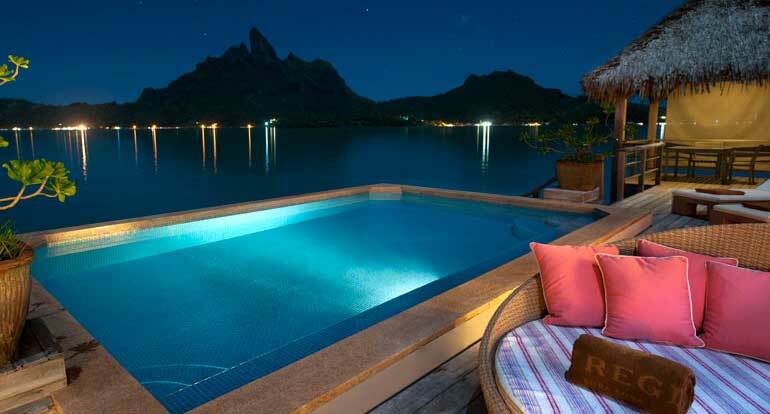 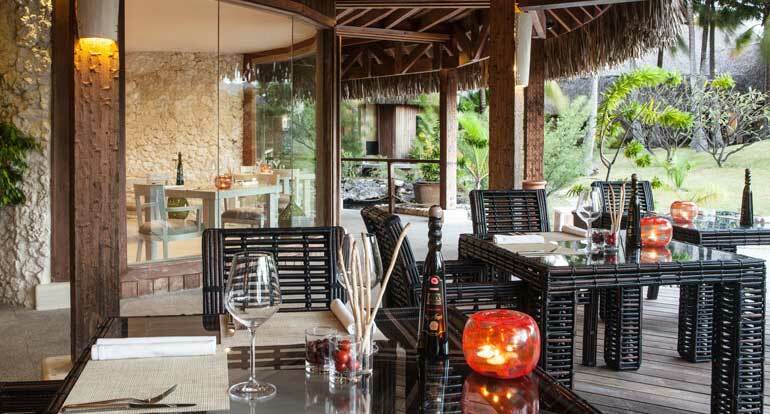 From Bora Bora’s Vaitape Harbour there is 15 minute boat ride across the lagoon to the resort.